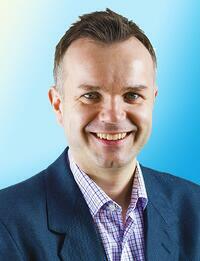 WCS Group CEO Phil Greenwood discusses the Suez WCS UK acquisition and growth plans. The London-listed group has built up a market-leading water treatment and hygiene division in just two years. With organic growth at home in the high single digits, it has no plans to go international – for now. UK water treatment and hygiene specialist WCS Group has made its second acquisition in as many months, picking up Suez’s UK water conditioning services unit for £4.5 million. The move will bring the annual water revenues of WCS – which operates as a division of London-listed Marlowe plc – to around £40 million, catapulting it ahead of key rivals, and cementing its reputation as a nationwide supplier of water treatment and compliance services to commercial and industrial customers. “The Suez business was a really strong acquisition for us – it’s given us a number of complementary additions, including a separate stand-alone business [B&V Chemicals] that has a chemical blending facility,” explained WCS Group CEO Phil Greenwood. “It’s also put us in a position where, within our chosen market, we are a market leader provider of water treatment, water hygiene, and specialist engineering services,” he told GWI. When Marlowe established its water vertical through the acquisition of WCS Group in 2016, it was something of a minnow compared to larger competitors such as Clearwater and Integrated Water Services (part of the South Staffs Group). “There was always a really clear ambition to move towards a market leader position, and in the early days of the group, one of the ambitions was to make sure that we had the capability to service customers on a nationwide basis,” said Greenwood. WCS complemented its presence in the south of England by acquiring H2O Chemicals, whose customers are concentrated in the north, bolstering its presence in Greater London through the acquisition of Guardian Water Treatment in 2017. This was followed by subsequent acquisitions of Future Water and Kingfisher Environmental. “We have a healthy rate of organic growth too, and I can confidently sit here and say that I would grow the business without the acquisitions,” Greenwood told GWI. 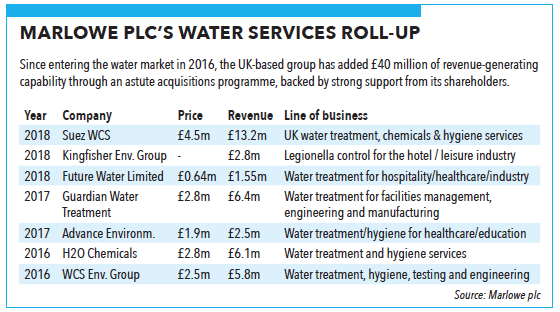 The need for commercial customers such as hospitals, hotels, student landlords and leisure complexes to comply with key legislation around Legionella control and hygiene is the main driver behind the high levels of non-discretionary spending that underpin WCS Group’s revenue base. The company punches above its weight within the Marlowe group structure, generating an EBITDA margin of around 12.5%, and the business is sticky, with high customer retention rates and a focus on building long-term relationships. Although WCS Group deals directly with end customers, it also acts as the water treatment and hygiene partner to professional facilities management companies. “This is a very compliance and regulatory-driven business, and that regulation means that our end customers require a robust, trustworthy service partner. We save our customers money and enable them to be more compliant through testing and planned preventative maintenance,” said Greenwood. 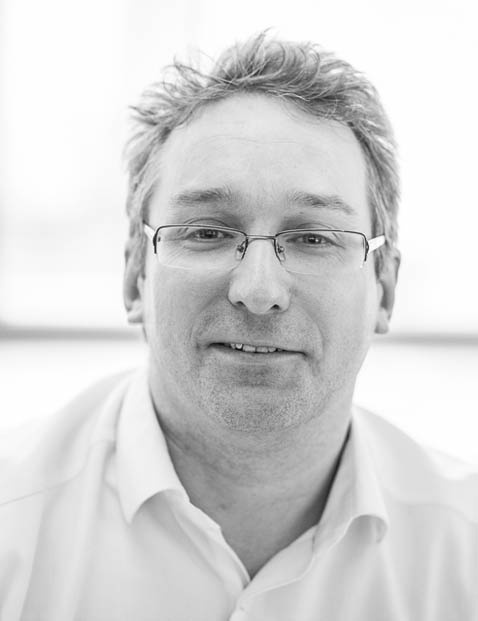 A stream of multi-million pound fines imposed on companies including for non-compliance with Legionella legislation, is likely to support WCS Group’s business strategy going forward. This article first appeared in Global Water Intel Article in Vol 19, Issue 9 (September 2018).